We all know now that Rajan was right and Summers, who had spent several years helping to tear down any restrictions on the gambling and deception by Wall St banks, was wrong in many ways. India just made Rajan–who clearly saw the financial crisis coming and had the courage and intelligence to publicly state his case to those who were aiding and abetting it–the new head of India’s central bank, the Reserve Bank of India. 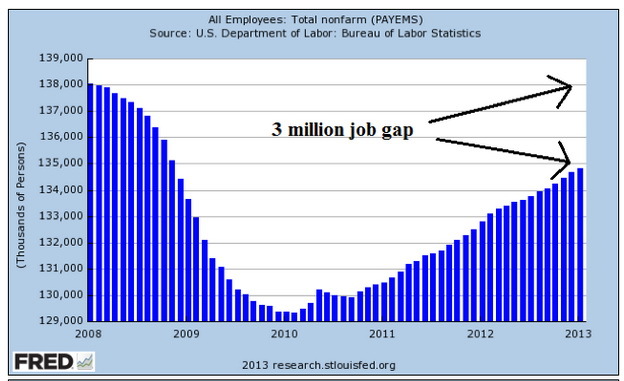 And Obama is considering appointing Summers–who aided and abetted the ongoing financial crisis mightily and who didn’t see it coming–the next head of the US central bank, the Federal Reserve. Summers is also infamous for abruptly resigning as the President of Harvard after losses in the endowment fund, his public statement that women are unable to learn science and math as well as men, and a no-confidence motion from the faculty. Obama’s alternate candidate for the next head of the Federal Reserve is said to be Janet Yellen. She testified to Congress that she didn’t see the financial crisis coming either. Yellen was in charge of the Federal Reserve Bank of San Francisco from 2004 through 2010. 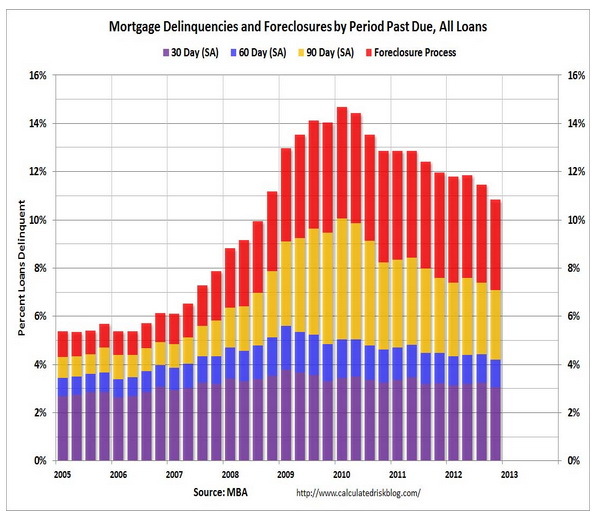 So she was one of the top regulators presiding over the ramping up of the deranged lending that supported the real estate bubble in her territory that included California, Nevada, and Arizona. So India has appointed someone with a track record of getting economic things right, and who is willing to risk career to state truth about a seriously dysfunctional status quo. And the US is poised to appoint someone who not only got it wrong about the financial crisis, but who, it could easily be argued, was on the team of architects who helped to create it. Worse still, Summers and Yellen have been in positions of financial power since and have done little to solve those architectural problems that still plague the system. My guess is that they have resisted real solutions. One would think that Obama would prefer to appoint someone like Rajan, who had seen the financial crisis coming. But that is not the way things work in the US. Those who saw it coming would be similar to Rajan in clearly pointing out the structural problems in the US system, and that would seriously step on the toes of the rich and powerful. That is not tolerated at this time in the US. And this is not limited to the financial sphere. Obama just appointed Director of National Intelligence James Clapper to head a commission to review the practices of the NSA despite the fact that Clapper lied at a Senate hearing in March, telling the Senate that the NSA does not collect the phone records of millions of Americans. He has since apologized for his lie. But how can such a person be expected to objectively review the practices of the NSA? Clearly, this is strictly political theater. India has its problems. In Rajan’s first speech on the job, he went right after the corruption that is plaguing India’s economic system. India, a nation on the rise, is trying to solve its problems. 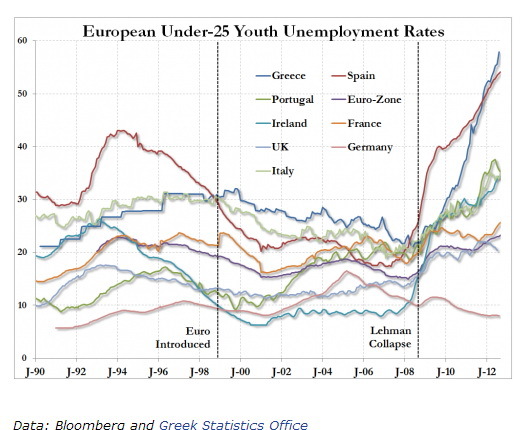 The US, on the other hand, looks like it has no intention of arresting its own decline. You know that thing about time accelerating? As of today, nearly one-fifth of 2013 is in the past! One problem with a discussion of the emergence of truth: On this planet, at this time, when the light of truth shines, it reveals a lot of lies. Many have come to see lies as standard operating procedure, so lies are accelerating in their frequency and boldness. This is a problem for two reasons: lies generally have consequences, victims, that is, they often do damage; and much that goes on in our world is based on trust, for example, when you buy something, you trust that it will work as advertised, and the vendor who sells it to you trusts that your form of payment has value. What is the general consequence of an increasing breakdown in trust resulting from increased lying? Other lies are more tricky because either there is a powerful constituency that supports the lie, or most people want it to be true even if it isn’t, or both. That is the category of lie described in the first major post on this site, The financial system is based on twelve promises that are lies, which described the lies at the foundation of what is called our financial system; and how the recognition of just one of those lies—the lie that real estate prices always goes up—came within hours of dissolving the world’s current financial system. Governments lie so often now that more and more people assume that anything the government bothers to comment about in public is a lie. It would help their case if they weren’t so obvious, though sometimes one has to do at least the amount of digging that would be required on a standard reading comprehension test to uncover them. There is a great example of a “policy lie,” and likely the often-associated “lying to keep one’s job,” at this link. It’s of interest here because we used the government’s own database to show the truth of this topic in Part 1. The post reports on a US Geological Survey study that says more people will die from earthquakes during this century than the last. But it is known from repeated examples that it is USGS policy to say that earthquakes are not increasing. So the article dutifully states that it isn’t because earthquakes are increasing that more people will die, but rather because of increasing population density in seismically vulnerable buildings. But the article blows its own policy case. They state that there were seven catastrophic earthquakes in the Twentieth Century, so that’s one every fourteen years. And then they state, and I quote: “Four catastrophic earthquakes have already struck since the beginning of the 21st century.” So that’s one every three years! So the “population density in vulnerable buildings” took a threefold leap right around the year 2000?! Nice try. This is science by policy–and keeping one’s salary or grant money flowing–rather than science by data. Such “science” is unfortunately all too common in our world. So why does the USGS have a policy that can be easily shown to be a lie using their own database? For one, I’m sure they are correct in thinking that most people are not going to actually go look at the data, so they can say what they want about it and most people will believe it: “It’s from the government. It’s from a scientist. It must be true. What’s on TV?” For another, governments seem to think that keeping people calm is a high priority. Perhaps they correctly believe that they get to stay in power longer when the people are calm. But as each of their lies is uncovered, what they derided as “conspiracy theory” becomes conspiracy fact and they have an accelerating loss of credibility. The same applies to billionaires. If you see or hear about them saying an investment is bad or good, assume that they are talking their book. In other words, if they say in public that some investment is fabulous, it means that they own a boatload of it and now want to get rid of it, selling it to anyone who will listen. And if they deride an investment, they are trying to knock down its price so they can buy more of it cheaper. 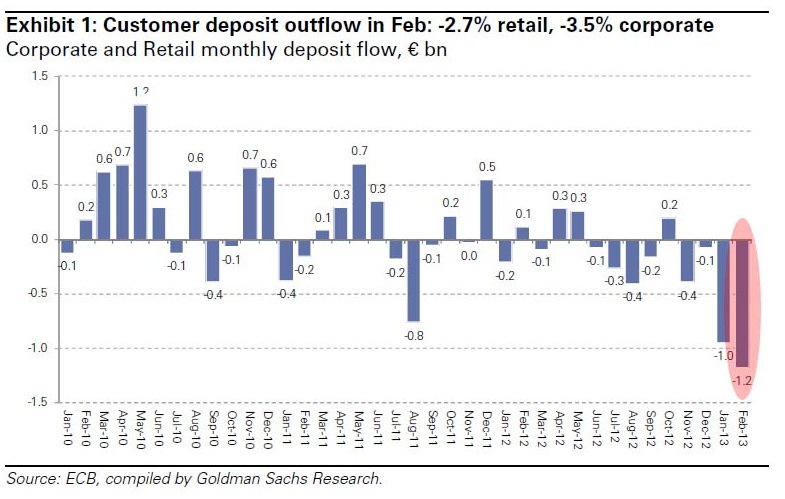 George Soros was caught doing this with respect to gold twice in just over a year. 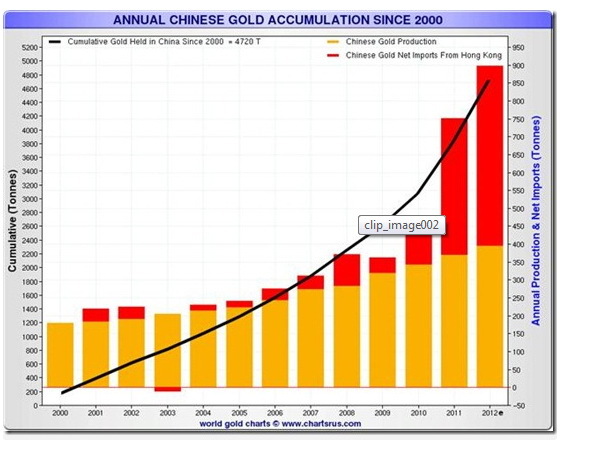 Twice he made somewhat nebulous but definitely negative public comments about gold. In both cases, in the quarter following his comment, his hedge fund strongly increased their position in gold as its dollar price fell. These purchases are only revealed well after the fact, so they can’t be uncovered in real time. But if a billionaire bothers to hit the airwaves with investment commentary, assume that they are talking their book. One exception to this idea is Jim Rogers, but he is unusual. Holder: But I am concerned that the size of some of these institutions becomes so large that it does become difficult for us to prosecute them when we are hit with indications that if you do prosecute, if you do bring a criminal charge, it will have a negative impact on the national economy, perhaps even the world economy. And I think that is a function of the fact that some of these institutions have become too large. So, big money gets a free pass from what is supposed to be the Department of Justice. The tobacco industry is famous for it. The nuclear power industry, creators of vast quantities of waste that will be deadly toxic for thousands of years, has in recent years been trying to characterize itself as “green”! And there were people who are supposedly environmentalists who fell for it. It took the catastrophe at Fukushima to take at least some of the wind out of their sails. And the oil industry is a barrel of laughs along these lines. Let’s take the case of alcohol fuel, aka ethanol. Everyone in the US now “knows”–because it was covered this way by both the liberal and the conservative press, so people think it must be true—that it takes more energy to produce ethanol than one can get from the end product. And it drives up the price of food for everyone. And it wrecks engines. So ethanol is bad. Would it surprise you to find out that all of that “information” is vigorously and continuously disseminated by the American Petroleum Institute in a well-financed campaign to malign ethanol? That it is based on a series of studies by a single person, Cornell Professor David Pimentel (more “science”!) who is the only investigator who claims that ethanol has a negative return on energy invested and whose faulty calculations are strongly at odds with other investigators? That Brazil’s conversion from gasoline to ethanol turned the country from a struggling importer of expensive energy to a net exporter of same? That the oiligarchy regime of Bush and Cheney implemented the ethanol program in a way that was sure to make ethanol look bad? That Henry Ford wanted all cars and trucks to be powered by ethanol, not gasoline, but that a ruthless campaign by John D. Rockefeller made that impossible? Including the fact that Rockefeller funded groups who created Prohibition of alcohol as a drink in the US not because he was against people drinking alcohol but because he wanted to bankrupt the major alcohol distillers in the US (he succeeded) so he could supply oil as the transport fuel of choice? That there are farmers across the globe who distill their own ethanol on their farm and successfully run all of their machinery with it? That alcohol is clean-burning, creating no particulate pollution? So again now, what is it that we “know” about ethanol and how inferior it is to petroleum fuel? Have the engines in all of the cars in Brazil been destroyed because they are burning ethanol? It turns out that, using permaculture, it is possible to become energy independent without driving up the cost of food for anyone. In the late 1970s, PBS funded a nine-part series by David Blume on precisely how to do that. They broadcast the first two episodes. All of their oil company donors said that if they continued airing the series, those oil companies would pull all funding forever. PBS folded under the pressure, even to the point of destroying all copies of the tapes, none of which exist today. If prices are rising, it is claimed that they will always rise forever. If prices are falling, then they said to be a great bargain. Some blogs refuse to report the exaggerations that are alleged to be statistical reports from the US National Association of Realtors. 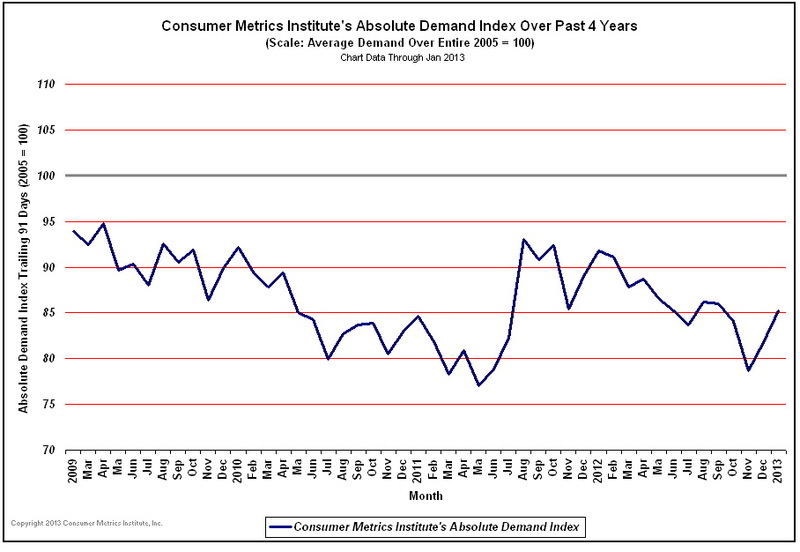 At the end of every year, the NAR quietly revises the data it reported for the past year. For several years running, they have “adjusted” the number of existing home sales down by around 800,000 per year. So they report big, increasing, “better than expected” numbers all year, only to quietly admit the truth after each year is done. (The use of “better than expected” when reporting dismal statistics in news headlines deserves a post of its own, but let’s agree to pass on that.) You’ve probably all seen the monthly headlines generated by the NAR. But have you ever seen a headline about the NAR annual revisions? Certainly not in the mainstream media. 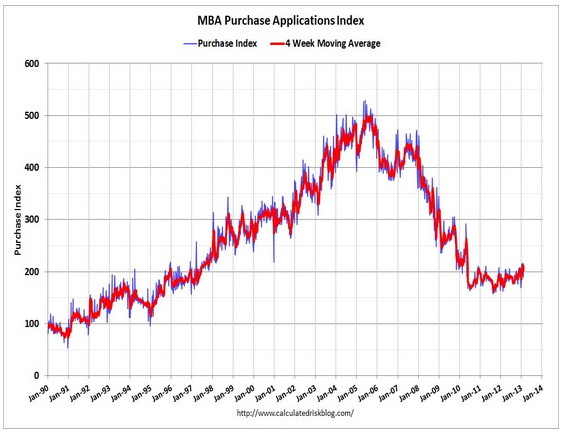 The media, NAHB, and certain bloggers look at this chart and declare that new home sales are up 20% from 2011 levels. Sounds awesome. I look at this chart and note that 2011 was the lowest number of new home sales in U.S. history. 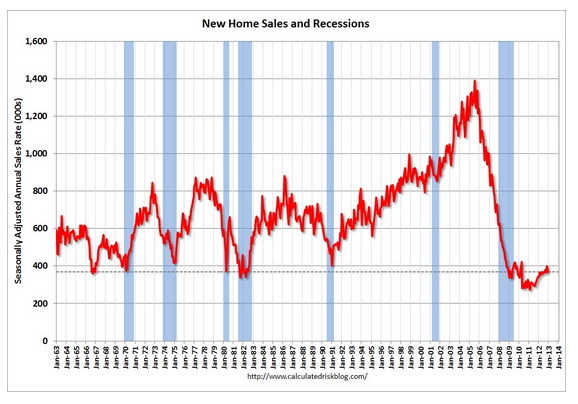 I look at this chart and note that new home sales are 75% below the peak in 2005. I look at this chart and note that new home sales are lower today than at the bottom of every recession over the last fifty years. 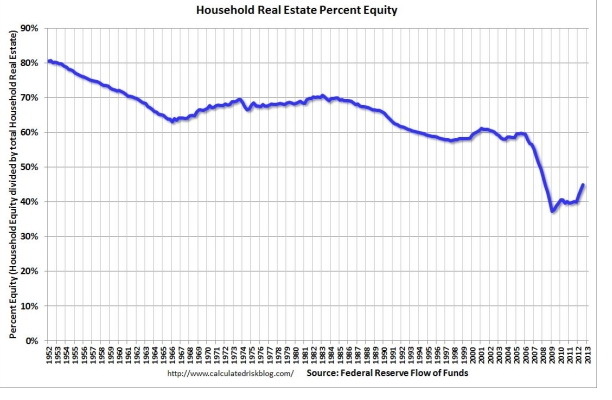 I look at this chart and note that new home sales are lower today than they were in 1963, when the population of the United States was a mere 189 million, 40% less than today’s population. 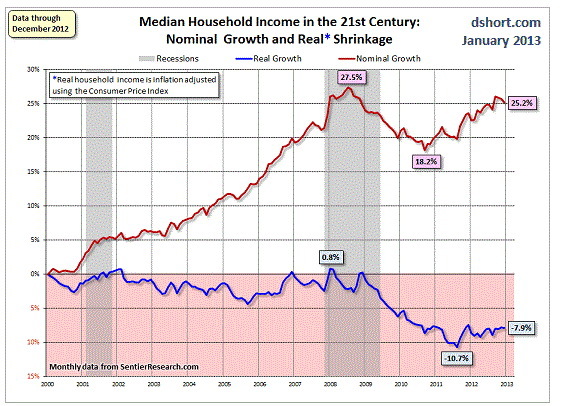 Do you see any signs of a strong housing recovery in this chart? JP Morgan, Blackrock, Citi, Bank of America, and dozens of other private equity firms have partnered with Fannie Mae and Freddie Mac, using free money provided by Ben Bernanke, to create investment funds to buy up millions of distressed properties and convert them into rental properties, further reducing the inventory of homes for sale and driving prices higher. 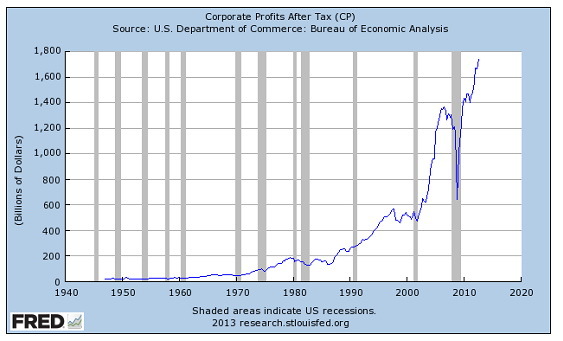 Only the connected crony capitalists on Wall Street are getting a piece of this action. So that number has dropped from 80% to 43%. How does that trend look to you? Do you think all of this government real estate assistance, said to be for the benefit of regular people, is for regular people or for Wall St? And this is the system that most people hope remains intact. Of course we’ve all heard from the European politicians that everything has been fixed in Europe, though even a cursory look shows that to be a lie. And speaking of lying, there is a law against what the Federal Reserve is doing. The law says the Fed can’t buy Treasury Bonds directly from the US Treasury. 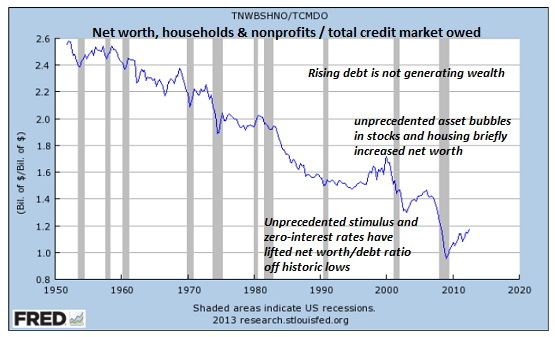 There’s a reason for this: when the Fed prints up new money to buy US Treasury bonds, which is the borrowing of the Government of the US, it’s called “monetizing the debt,” a clear Ponzi scheme where one hand borrows and the other hand prints to enable the borrowing. There’s a law against this because many countries have gone down the tubes once they traveled that road of money printing. Their currency value ultimately went to zero. So what does the Fed do to circumvent the law? They have one of the big NY banks buy the Bonds from the Treasury and then they buy the Bonds from the big NY bank three days later. 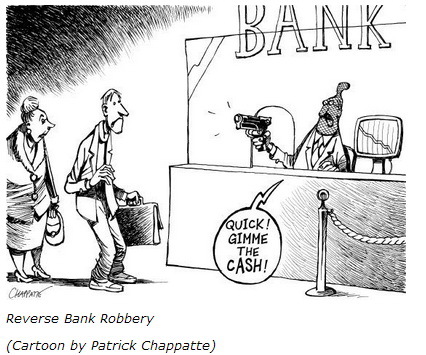 So the Fed circumvents the law and NY banks get nice commissions and the US Congress gets more free money. 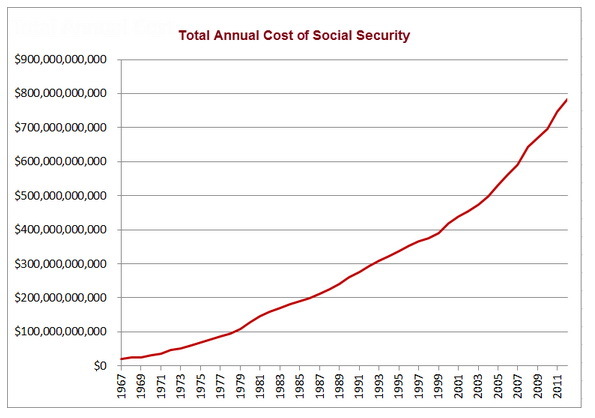 And your income and savings are worth less and less. This section could go on for days, but let’s stop, though I would like to mention that I think it is advisable that people give consideration to those things derided by powermongers and their minions in the press as “conspiracy theory.” Many things that the mainstream attempted to relegate to this scrap heap have turned out to be true (here’s a link to an account of 33 of them). Just one example: Many supposed conspiracies are rejected under the heading that too many people would have to know about it and that this large number of people could never keep it secret. This whole rejection methodology was blown out of the water with the LIBOR scandal where at least dozens of traders at several major banks conspired over decades to manipulate the interest rates on which trillions of dollars of contracts are based. Testimony has been given in the US and the UK that people told the central banks of their respective countries about this manipulation as early as 2008 and the central banks did worse than nothing: The Bank of England is said to have encouraged the practice. Clearly the profit motive was enough to keep this conspiracy operating and quiet for decades. So when you hear that price fixing takes place, with or without government collusion, in fossil fuels, pharmaceuticals, stocks markets, precious metals markets, and so forth, it actually appears to be irrational now to think that price fixing is not taking place. When there is big money to be made, there is big price manipulation in play. All this stuff about “free markets” is a thick, giant smokescreen designed by to increase the power of those who already have it but who crave even more. However, between insider whistleblowers and great investigative researchers (typically outside the mainstream media that is primarily a compliant tool of those in power), using internet communication as a conduit, discovery and dissemination of truth is clearly on a meteoric rise. This trend is strongly supported, in my view, by the accelerating increase in the number of people who recognize that individual inner work is beneficial and necessary. People who do the work to identify and become independent of lies they once blindly accepted as true, who continue working to understand the ways in which they fall for illusion, become acceleratingly tough to trick! We will take a look at this and other fabulous developments in Part 7. Everyone whom I have asked, including young people, feels like time is speeding up, like the day, the week, the year starts, and “before you know it,”, it’s gone. People feel like they have little time to carry out their plans. I would guess that this not universal, but perhaps it is. And everyone, or certainly close to it, is aware of Moore’s Law, that the number of transistors that can fit on a chip doubles every two years. And Intel’s David House added that processor performance would double every 18 months. This acceleration in performance, and the fact that the price for that performance has steadily dropped, has changed the world in magnificent ways that have been difficult to envision at any point in time. People like Ray Kurzweil are famous for utilizing this increasing performance and for having made some prescient estimates of the impact of this exponential increase in price/performance, though some of his predictions have been wide of the mark, and it seems his general view that processors will outdistance human intelligence is destined to fail as well since a pathway to program a machine to have a higher self, intuition, noble emotions, will, self-awareness, and a sense of humor seems unavailable, to put it mildly. As we did with the weather and Earth changes, let’s look at some data. 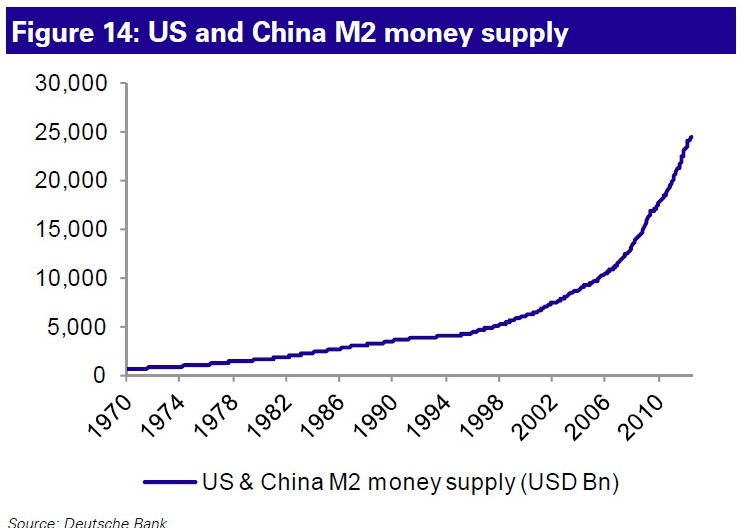 Yep, between the US and China, that’s $25 trillion floating around. 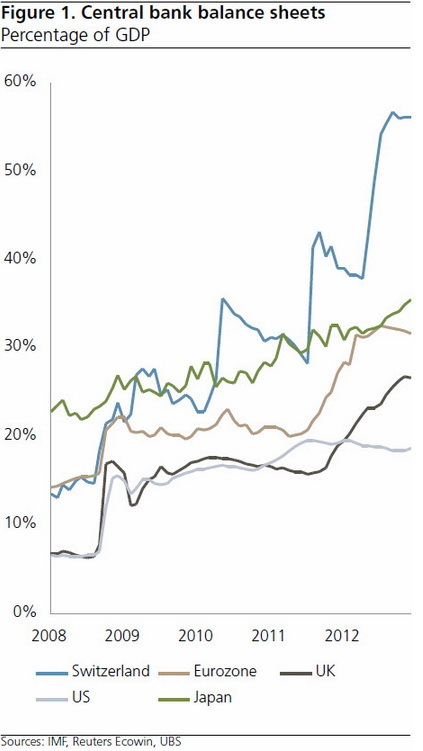 Another way to look at things is this: From 1971 to 2007, the world economy grew fourfold. 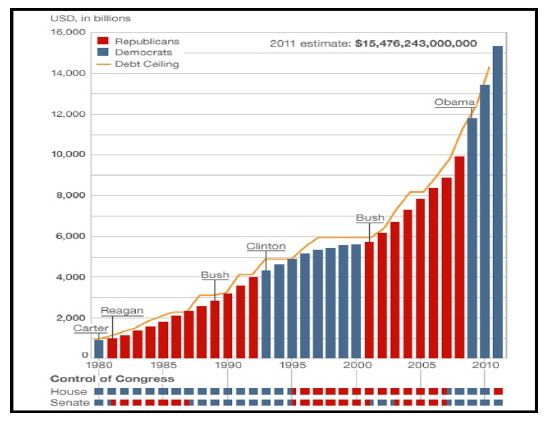 Over the same period, the amount of money floating around increased forty-fold. 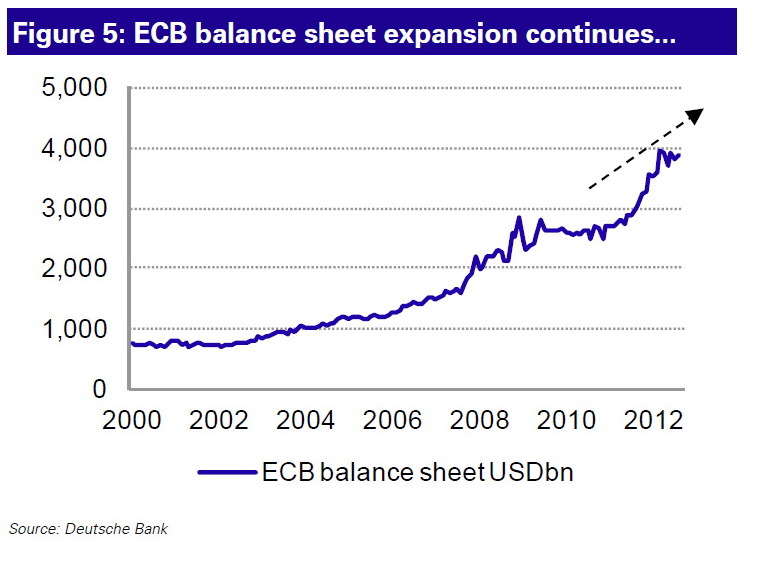 And central banks were just leaving the proverbial starting gate in 2007; the continuing financial crisis had just begun, and the response was, and continues to be: Print Money! And the Japanese just joined the US and the Eurozone saying they would print “whatever it takes” to get their economy humming again. though I would ask that you note the super-acceleration of this trend that started in the year 2000. 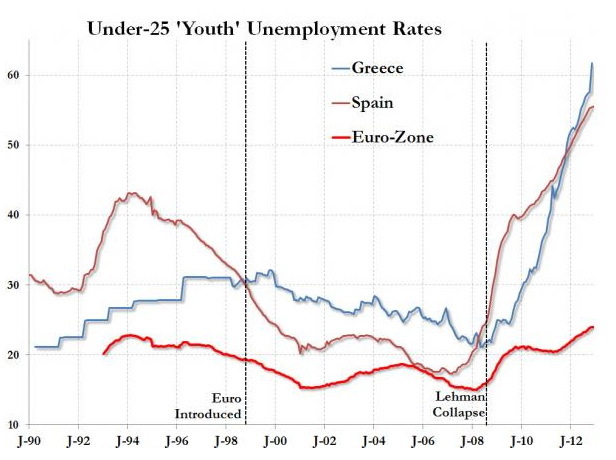 Yes, that’s over 60% youth unemployment in Greece, with Spain right behind. 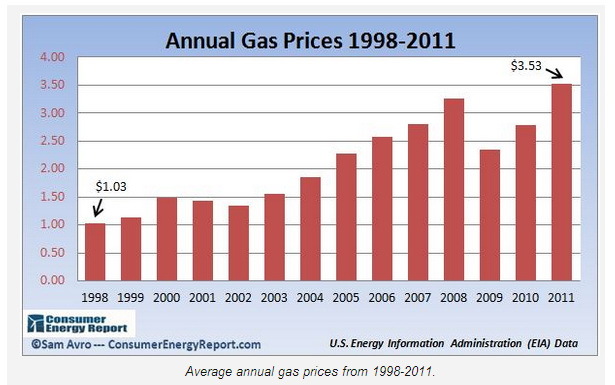 That chart is only through 2011, but since US gas prices just registered their highest ever price for a February here in 2013, this trend does not seem to be in jeopardy. And the Food Price Index of the UN Food and Agriculture Organization is up 132% since the year 2000, with the all-important cereals/grains index up 190%. This is putting an extreme and accelerating squeeze on the budgets of the poor around the world. 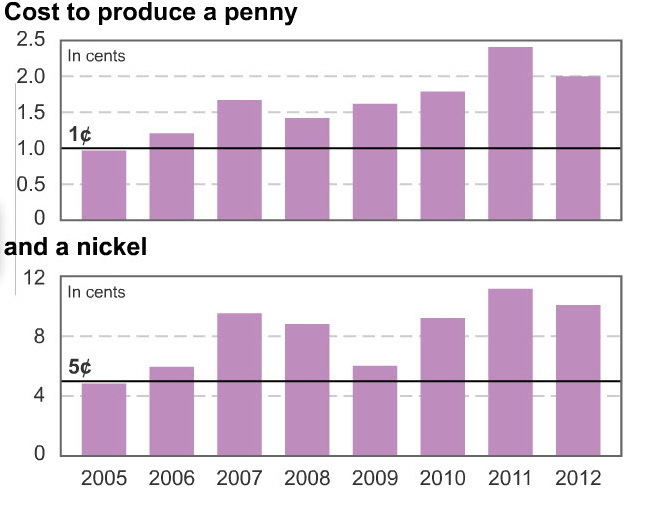 resulting in a loss of $436 million for the Government of the US (GUS) to mint pennies and nickels since 2006. 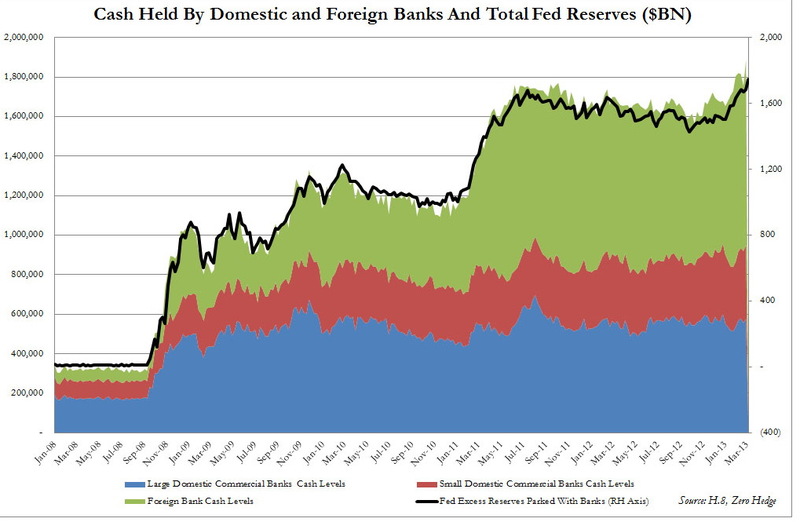 So it seems clear that the accelerating money printing is accelerating the cost of real things that people need: gasoline, food, the metals that go into manufactured products, and so forth. 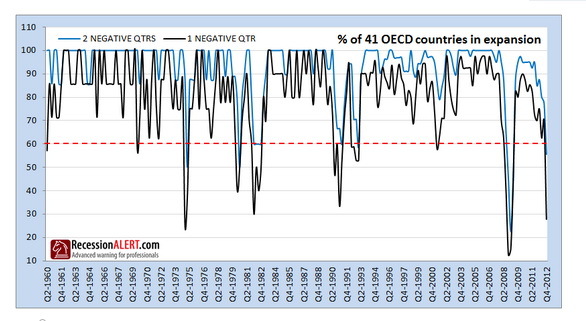 Astute chart readers will notice that such a reading corresponds with the worst recessions (1973-74, 1981-82, and 2008-2009) of the last 50 years, so now you know why the central banks have started printing even more money–yes, accelerating! The number of PhD recipients on food stamps and other forms of welfare more than tripled between 2007 and 2010 to 33,655, according to an Urban Institute analysis cited by the Chronicle of Higher Education. The number of master’s degree holders on food stamps and other forms of welfare nearly tripled during that same time period to 293,029, according to the same analysis. 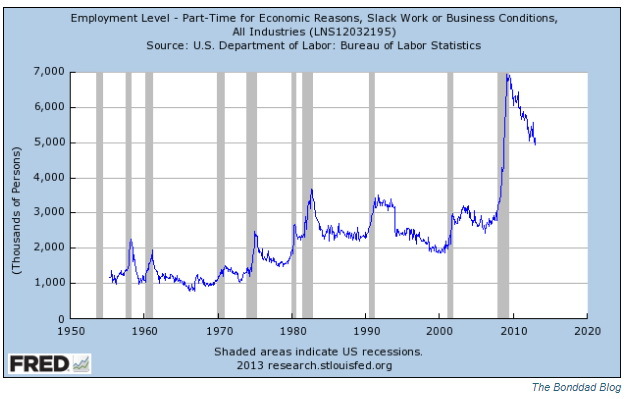 All of these economic charts were compiled by governments who, as we’ll show in a future post on the acceleration in lying, have a strong vested interest (it’s literally and even proudly called MOPE by academics—Management of Perception Economics) in making things look better than they are. 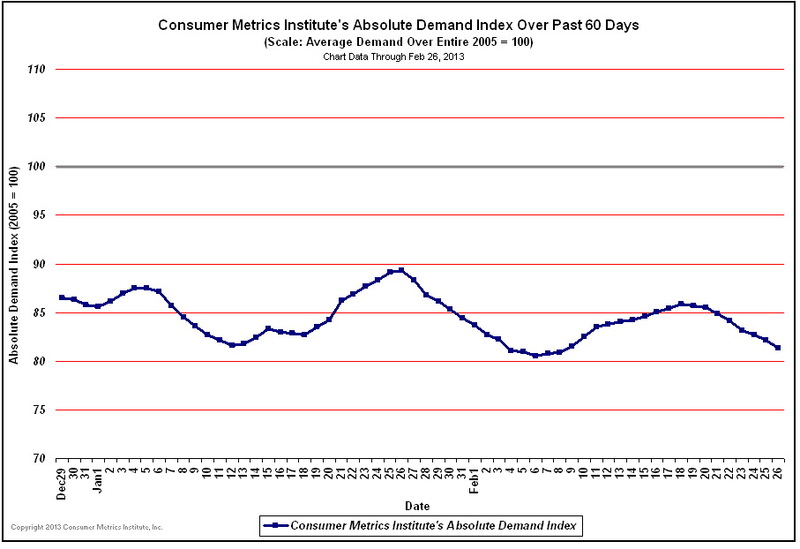 In that light, I ask that you consider the following two charts compiled by a private bunch of computer geek types at a place called Consumer Metrics Institute. They thought, in this time of highly-networked business, that it was silly to have to wait until governments spent months collecting data before telling us what happened some months back, that the data could be collected and reported in near-real-time. If you wish, you can find out what they do at their FAQ. But what they essentially do is track, in real time, discretionary purchases for things like automobiles, housing, vacations, durable household goods and investments. So, both charts show their index hovering around 85 or lower, which means that this large portion of the US consumer economy is 15% smaller than it was in 2005! Perhaps that aligns better with the income and net worth charts shown above rather than the rosy “we’re in a wonderful economic recovery” MOPE spewed by minions of The Powers That Be. So what it looks like is that all that money printing is making a select few richer and, by driving up the prices of real goods, squeezing regular people—whose income is falling and who spend a far greater percent of their income on real goods. And the Western central banks say it isn’t their fault that people are rioting in countries where people’s costs for food have gone from 40% to 80% of their income. 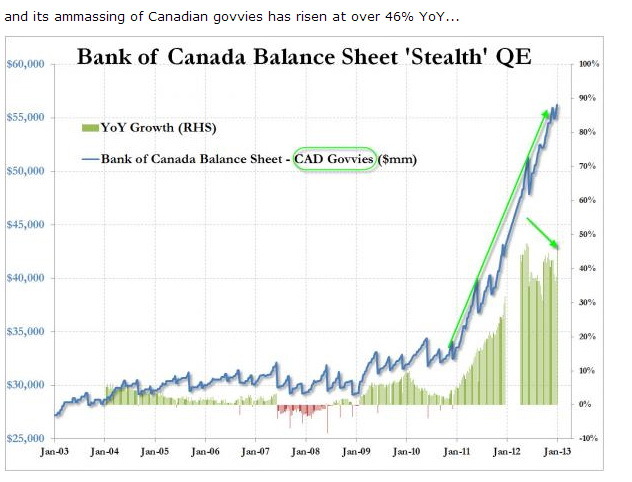 Nope, they aren’t driving prices up at all with their money printing, it’s those “evil speculators.” Well, perhaps it is evil speculators, but they are aided and abetted by a vast surplus of gambling chips supplied by the central banks. There’s more to come. Stay tuned for Part 6.